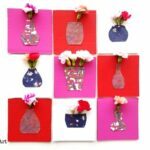 How excitement about SPRING and lovely Spring Crafts continues. 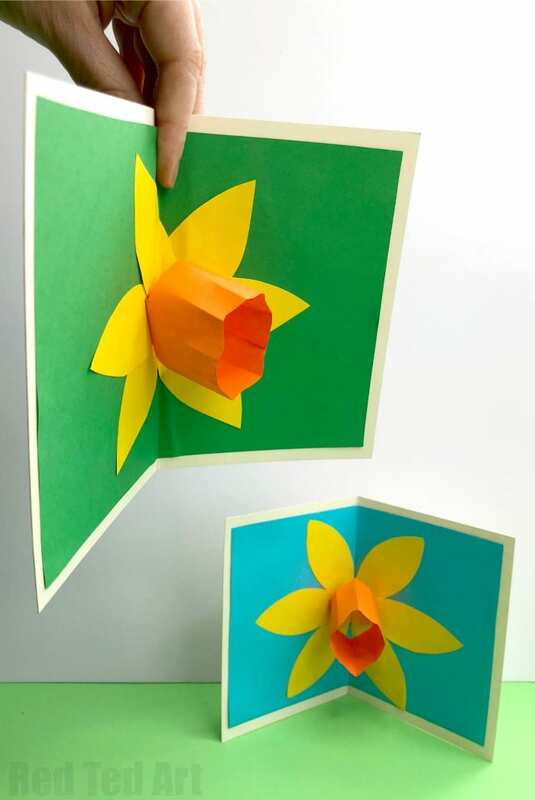 Today’s lovely and of course easy 3d Pop Up Daffodil Card, not only makes a perfect addition to our Pop Up Card DIY series, but is also a wonderful card for both St David’s Day and Mother’s Day. As you know, we recently shared a number of beautiful Daffodil Crafts for Kids.. and today’s Daffodil Cards How To will join the ranks of other gorgeously cheerful crafts. Hooray for the upcoming Spring season. 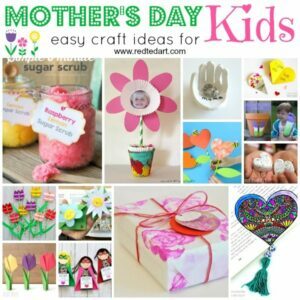 If you are looking for more Mother’s Day Crafts, we have a great set for you to explore too! 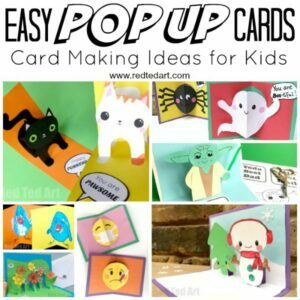 These Pop Up Dffodil Cards are quick and easy to make and only need a few basic materials. 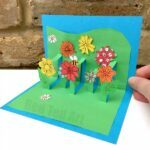 Follow the 3d Pop Up Flowe Card video or check out the step by step written instructions below! 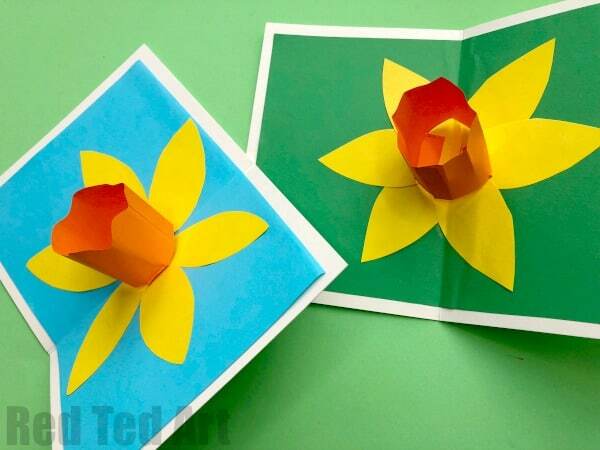 Begin by decorating the background of your Pop Up Daffodil Card. 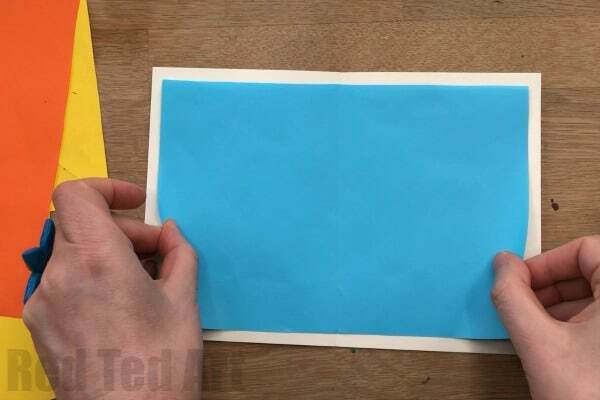 We chose plain blue and plain green paper. But you can use anything you want. 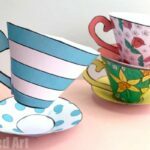 I think turning this into a mixed media craft with watercolours and pens would be gorgeous. 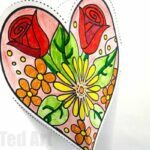 You could later add details such as bees and lady birds too! 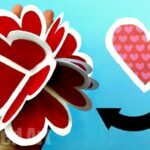 We simply cut out a rectangle that measured 1cm less both width and length wise and glue it down with a glue stick! 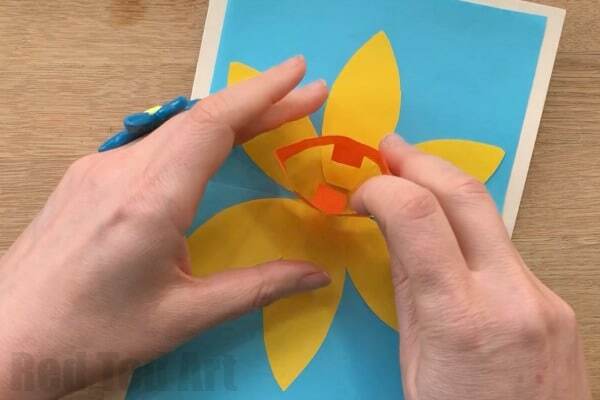 Cut out six yellow daffodil petals from your yellow paper. We sketched out one and cut out the rest in one go. 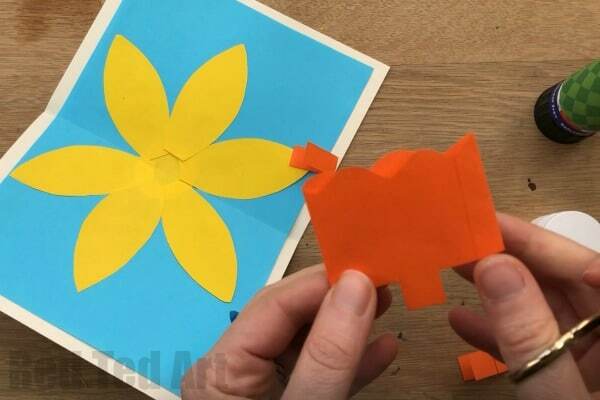 Glue this into the centre of your card and then arrange the six daffodil petals around it and glue in place. 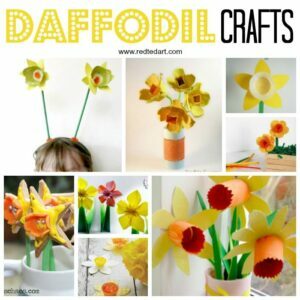 One your orange paper mark out the HEIGHT you wishe for your pop up daffodil centre (ours is approximately 5cm? ), then ADD ONE CENTIMETER to this. 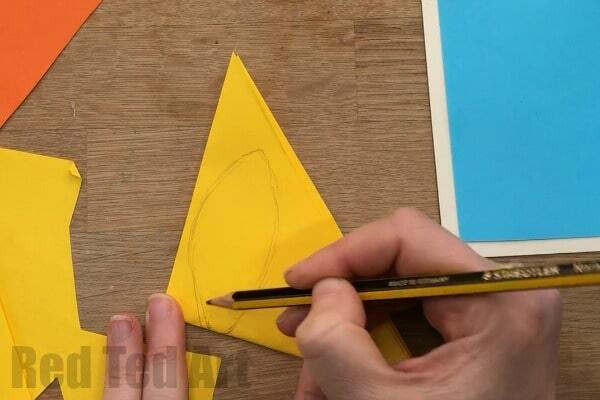 Cut a long rectangle – 5cm + 1cm + the length you wish. Again we didn’t have an exact measure, we just turned the strip on itself until we had a length we liked. Cut a wave into the top of your orange retangle. Glue the strip together to make an orange tube. Now flatten it. 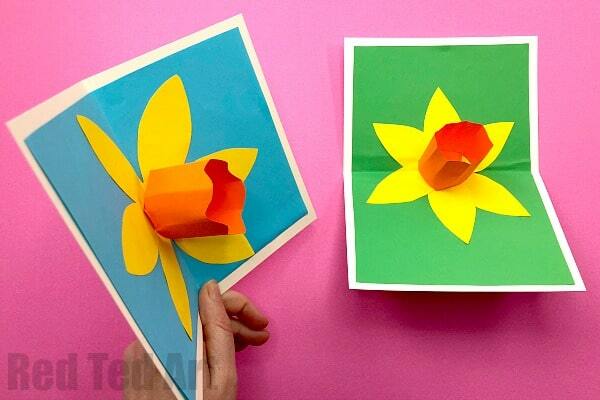 The folds you create, will be the folds you need for the card. Once the tube is flattened. Cut out two orange tabs in the exact centre – about 5-8mm wide. 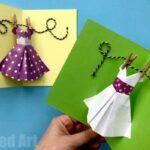 They have to be in the CENTRE and opposite each other.. otherwise you will later have problems opening and shutting your card! 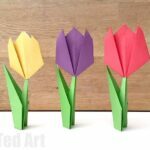 Fold these little flaps inwards. 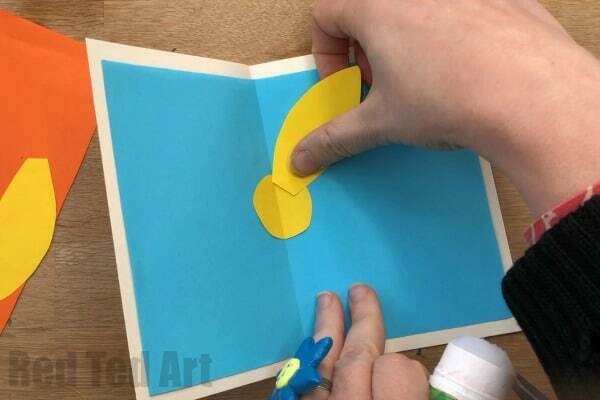 Position the orange centre on the card and glue in place.